The best way to get from where you are now to where you want to be is to have a personalized roadmap. 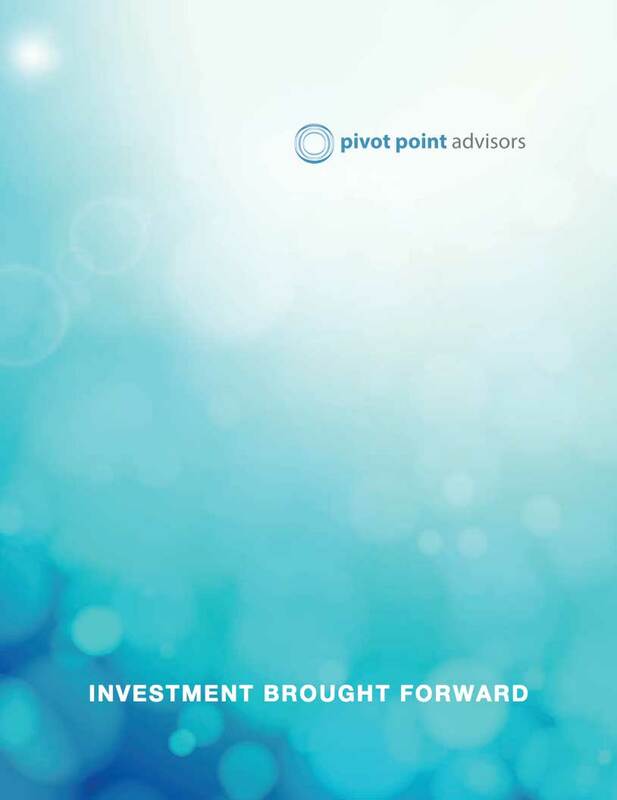 Pivot Point Advisors combines financial and scientific expertise to analyze your situation. Our recommendations are always based on our internal research rather than the frequently wrong conventional wisdom. Our Financial Plans review the most important aspects of your financial life, including retirement planning, college planning, investment allocations, your probability of retirement success, and any other questions you may have. As a fee-only firm, Pivot Point Advisors receives no commissions from any investments we recommend. This eliminates a significant conflict of interest and allows us to do our fiduciary duty to always put your interests first. Future investment returns are uncertain. A robust retirement plan needs to take into account worst-case scenarios because they are the most serious threat to your financial wellbeing. Pivot Point Advisors’ recommendations are designed to maximize your probability of success considering all possible outcomes weighted by their probability. Meet with a financial advisor for a complimentary evaluation to see if we are the right fit for you. © Copyright Pivot Point Advisors. All rights reserved.